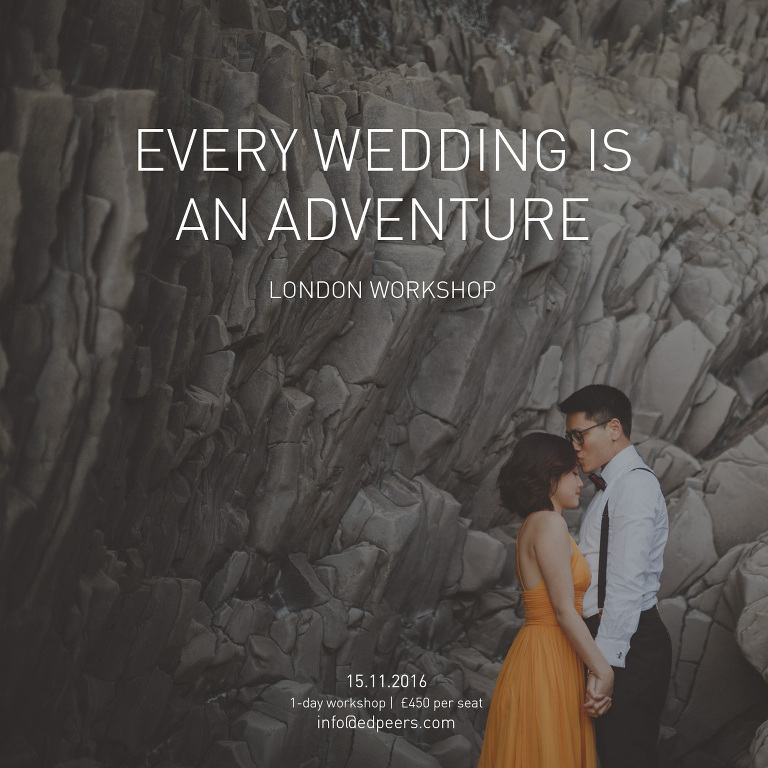 I’m super excited to announce a one-off wedding photography workshop in London, UK this coming November. This will be a one day workshop which will take place in London (exact venue to be confirmed) on November 15th 2016. The workshop will run from 09:30am to 6:30pm. Topics will include: developing a unique brand, how to reach your ideal clients, composition and light, storytelling, approaching destination weddings, developing an efficient workflow, and finding a balance. Seats are limited and the cost per seat is £450 incl. VAT. Lunch and snacks will be provided. Drop me an email at info [at] edpeers.com and I’ll send you the info you need to reserve your spot. High five! Please inform us when and where is your wedding photography workshop and what will be inclusive of the rate for this coming year 2017 and what part of the world? Sound great. I think this could be a big help to a lot of average photographers.